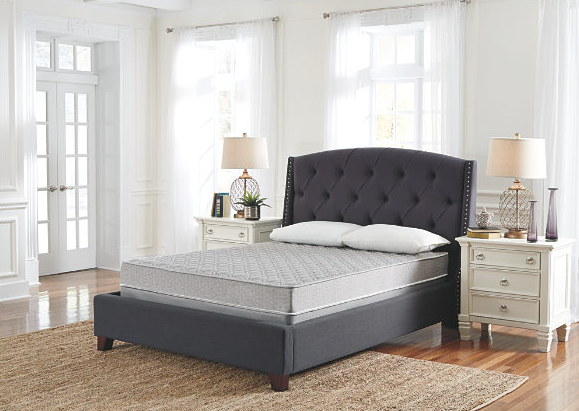 Quite a value for the price—the innerspring Ashley-Sleep® Firm mattress is a quality sleep experience for those who prefer a traditional firm feel. Features a VertiCoil spring system topped with a high density firming pad and an additional layer of high density quilt foam support. You can rest easy knowing that this mattress is both supportive and highly durable, with a spring system constructed of double tempered steel. This is a top choice for all styles of youth beds and guest room beds. Foundation/box spring available, sold separately.